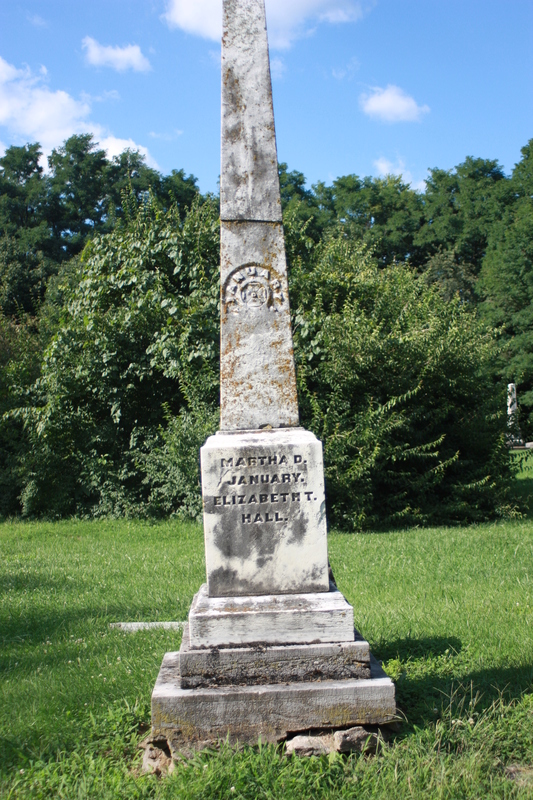 The old Cynthiana Cemetery in Harrison County is very quiet and shady, as a cemetery should be! However, many of the stones are no longer standing. I’d like to share what we found during our visit last year. 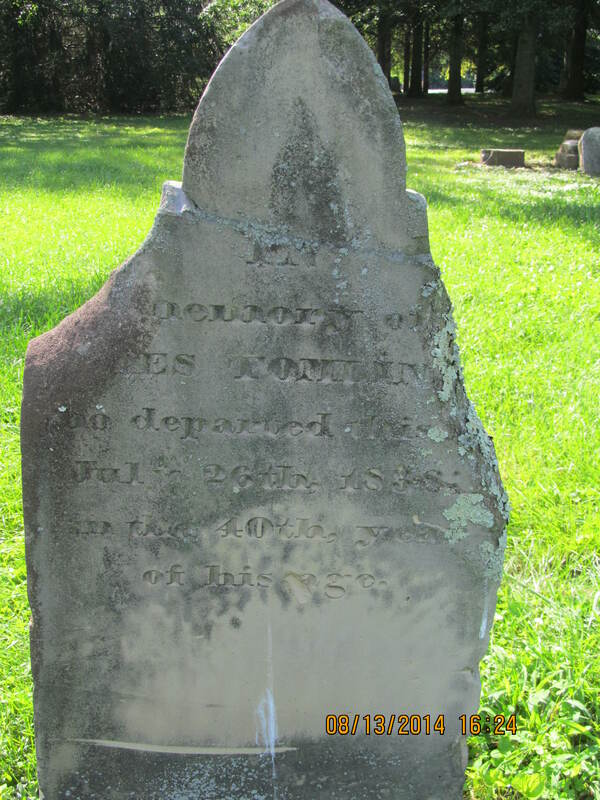 Cynthiana was first settled in 1775 by Captain John Hinkston and a group of 15 men from Pennsylvania. 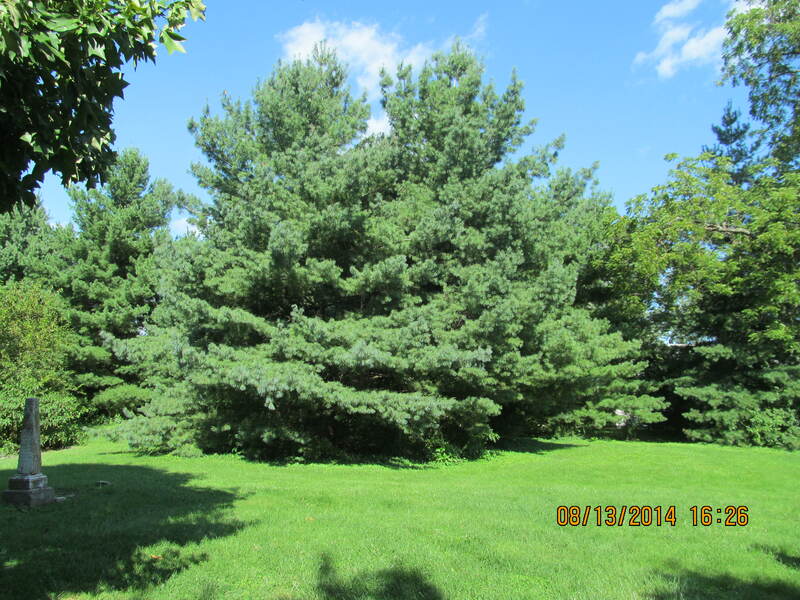 The land for the city of Cynthiana was donated by Robert Harrison and named for his two daughters Cynthia and Anna. 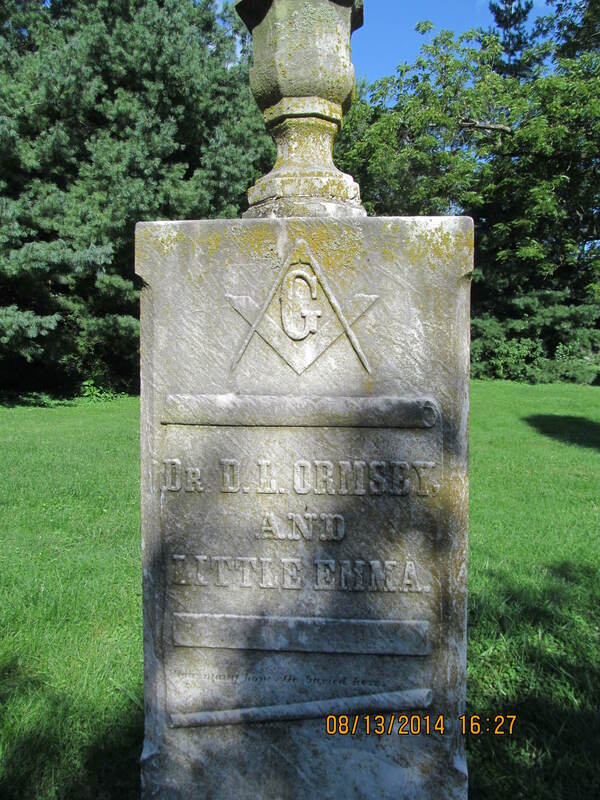 In memory of Miles Tomlin who departed this July 26, 1838 in the 40th year of his age. 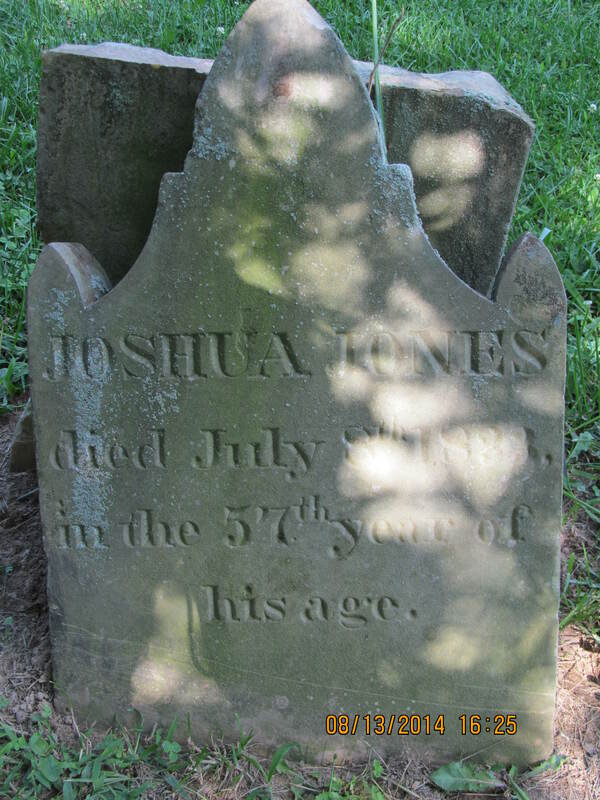 Joshua Jones died July 8th 1833 in the 57th year of his age. 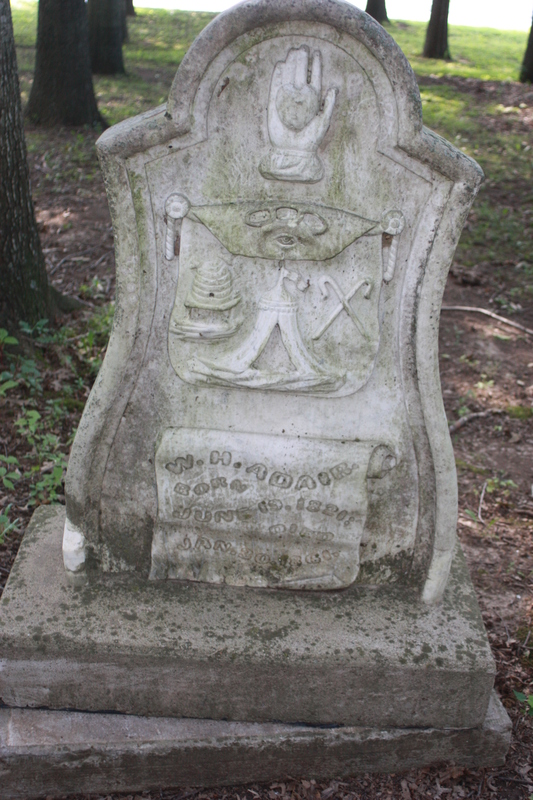 W. H. Adair, born June 19, 1821, died January 30, 1861. 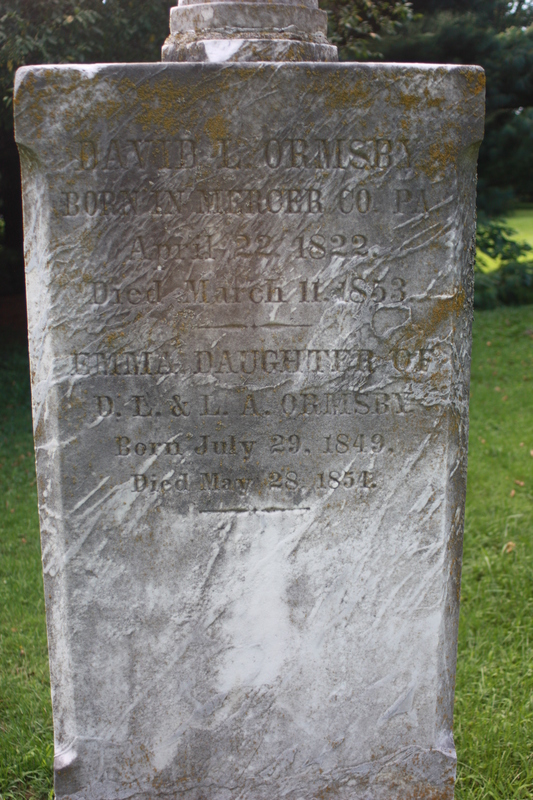 David L. Ormsby, born in Mercer County, Pennsylvania, April 22, 1822, died March 11, 1853. 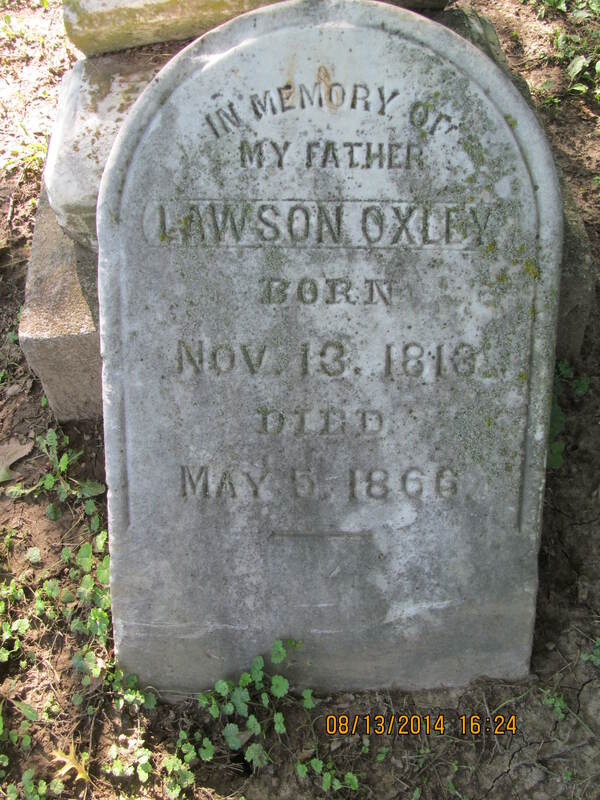 Emma, daughter of D. L. and L. A. Ormsby, born July 29, 1849, died May 28, 1854. 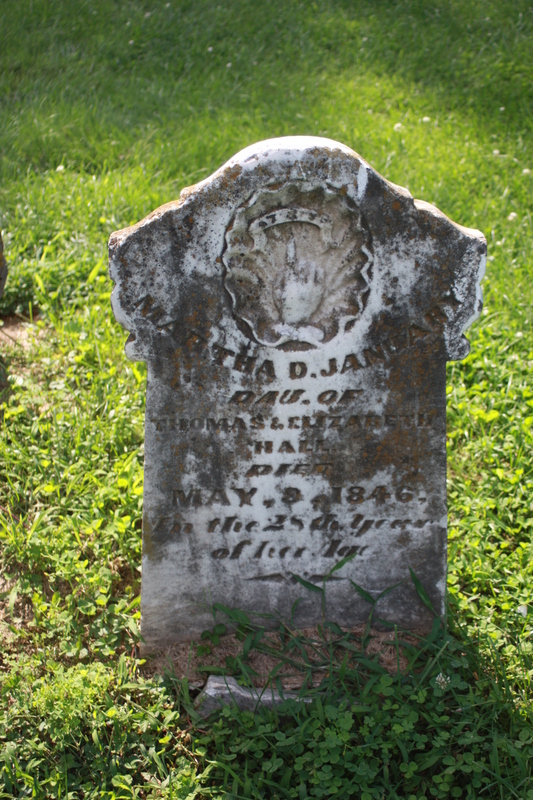 Martha D. January, daughter of Thomas and Elizabeth Hall, died May 9, 1846, in the 25th year of her age. 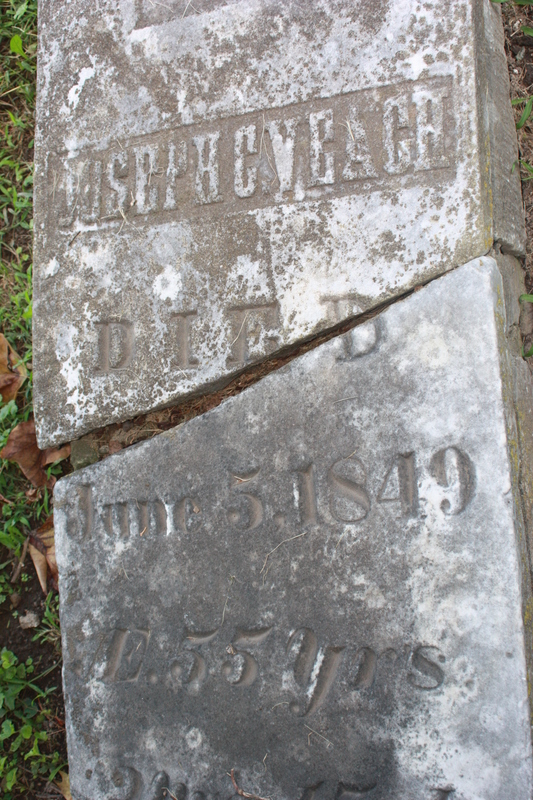 I find it so sad to see these old cemeteries in disrepair. I hope the community would step up and try to repair.